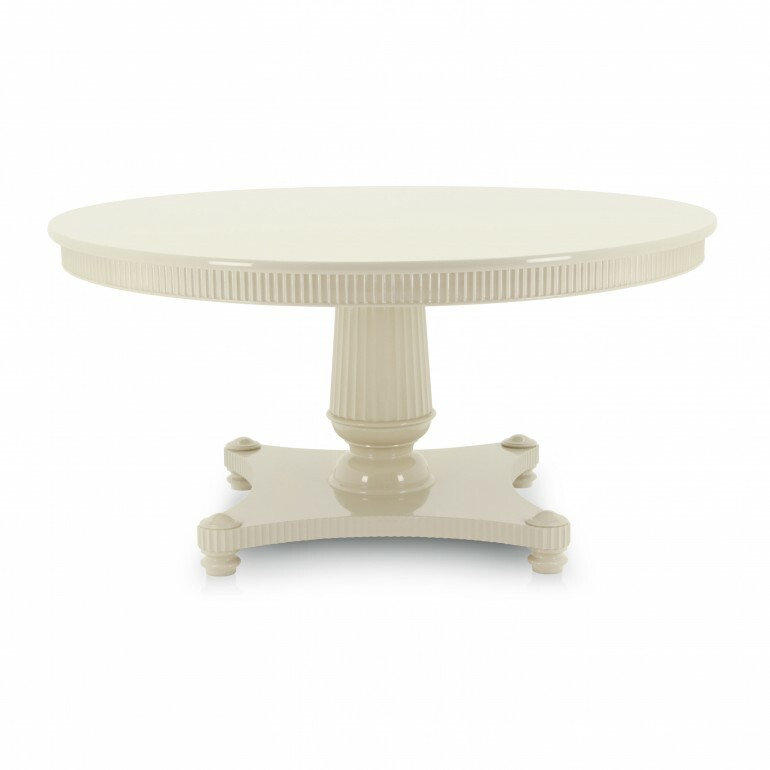 Extremely refined Classic style round table with particularly elaborate lines. It features attractive lines along the large central leg, which enhance its unmistakable elegance. 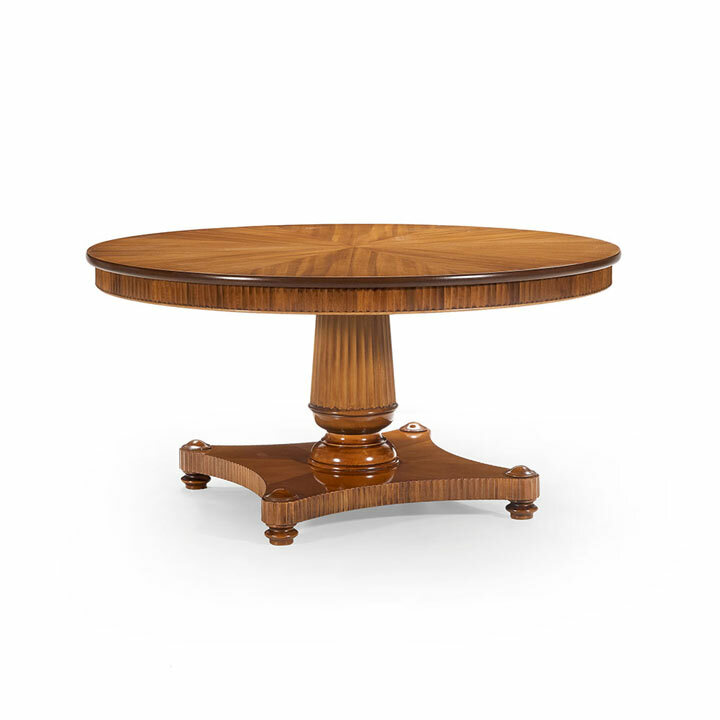 We recommend a polished finish that enhances the grain of the wood.